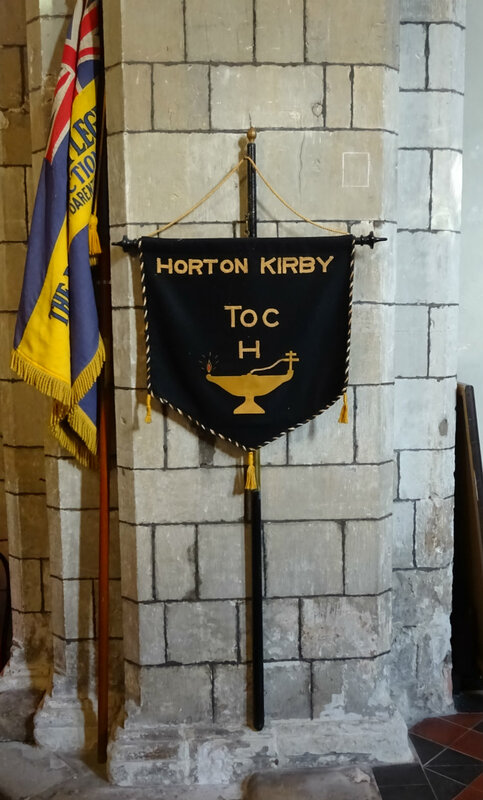 The War Memorial can be found in St. Mary’s Church, and faces the church door. The picture above shows the Memorial as it was originally made, and after World War II an additional panel was added. There is also a Roll of Honour for the men of the Farningham Homes for Little Boys underneath the memorial. 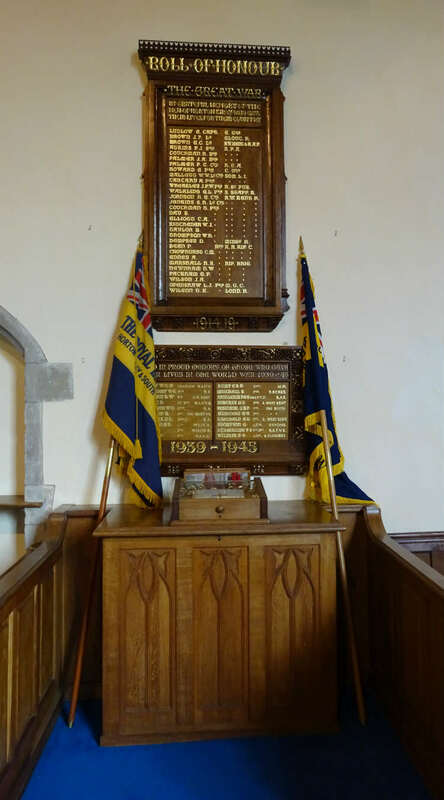 The memorial as it is now (November 2016) , with the Farningham Home for Little Boys Roll of Honour contained in the case on the cabinet. The Roll was printed and bound by the boys in the at the Home, and the cabinet and case were also made in the Home.